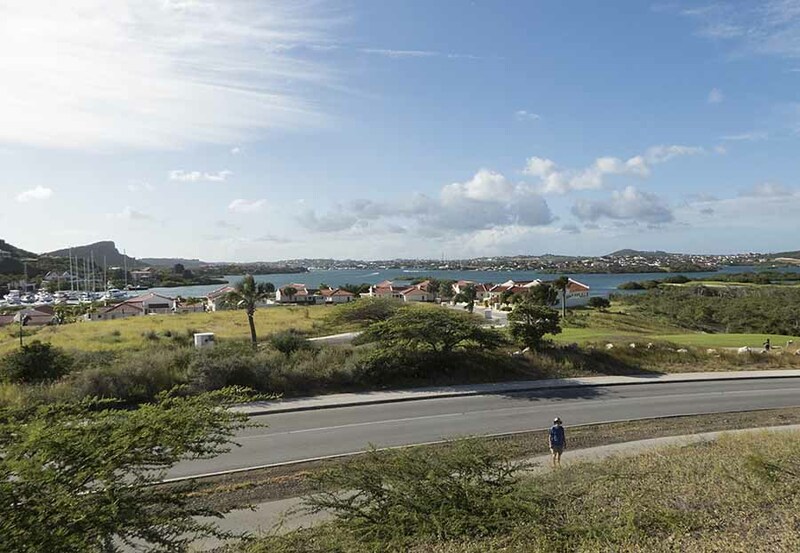 We finally returned to Curacao at the end of January, having delayed our departure to complete our catamaran purchase. It took a while to get all the paperwork sorted and we are still awaiting confirmation that "Mystic of Holyhead" has been re-established, in our names, on the UK Ship Register (Part 1). Lynn Rival was waiting for us at Seru Boca marina, in a remote part of Spanish Water which is well-sheltered, secure and clean. All we had to do was unpack, put the sails back on, check the engine and instruments, stock up with fresh provisions and water, and get official clearance. Getting to the city to visit Customs, then Immigration, involved a lift, mini-bus and walk along the dockside but on the way back we did some shopping and the supermarket kindly gave us a lift back to the marina so it wasn't too bad. 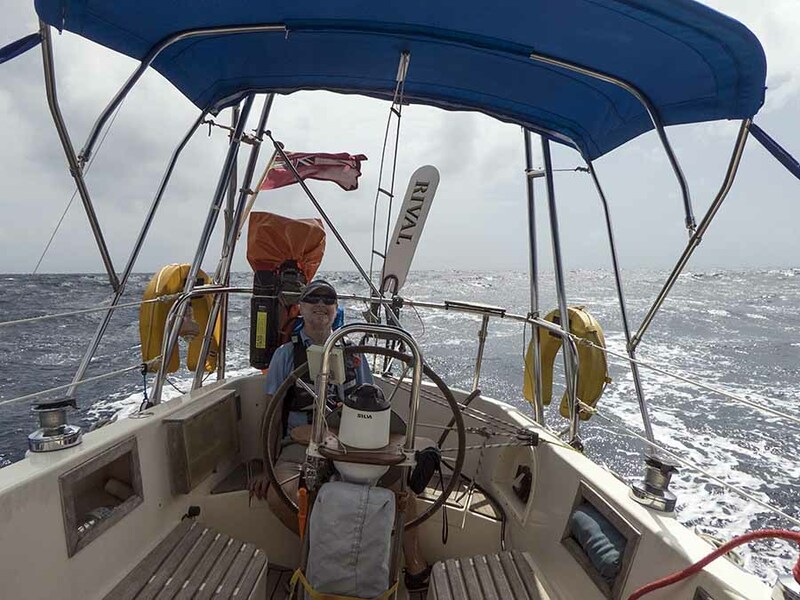 Five days after our return we motored out into the Caribbean Sea, rounded the leeward (west) side of Curacao and headed north-ish. At this time of year the trade winds generally blow full strength (Force 5, gusting 6) across the region. Our eventual destination would depend on how much north or south there was in the easterly winds, how big the waves were and strength of the west-going current. Also important is how much beating to windward our bodies could stand! We planned to make it to the westmost port in the Dominican Republic, just over 400 miles away, in under 4 days, but hoped to make more easting if the conditions were favourable. The first 3 days of any long passage are always tiring while our bodies get used to 12 hours of watch-keeping and 12 hours of trying to rest on a moving bunk each day. After 6 weeks as landlubbers our muscles had softened and the demands of living at an angle, bouncing around at random and regular (unwanted) salt water washes, take time to get used to. The physical effort (and seasickness!) is certainly a good way to lose some of the pounds put on over Xmas. Thankfully Lynn Rival, with two reefs in the main and sometimes 3 in the genoa, sails on regardless with Aries (the wind vane) steering. All we have to do is watch out for shipping, trim the sails and oil Aries from time to time. 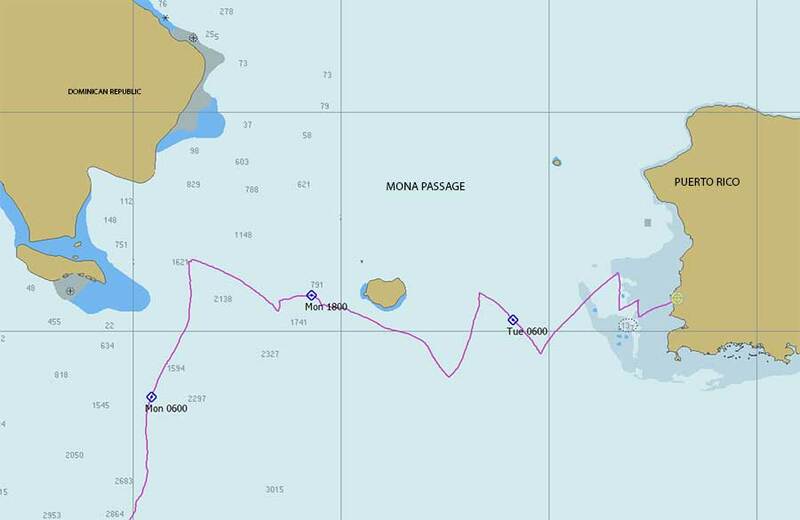 Our progress was good and by the third day we were approaching the south end of the Mona Passage, between the Dominican Republic and Puerto Rico. The forecast was a bit mixed but we decided to continue northeast to Puerto Rico, anticipating a patch of stormy weather. At this point the wind dropped so we put on the motor to make progress eastward. Unfortunately we didn't move very fast. The (feathering) propeller didn't seem to be working well. We continued on, expecting to get a calm spell when we could jump over the side and check it out. 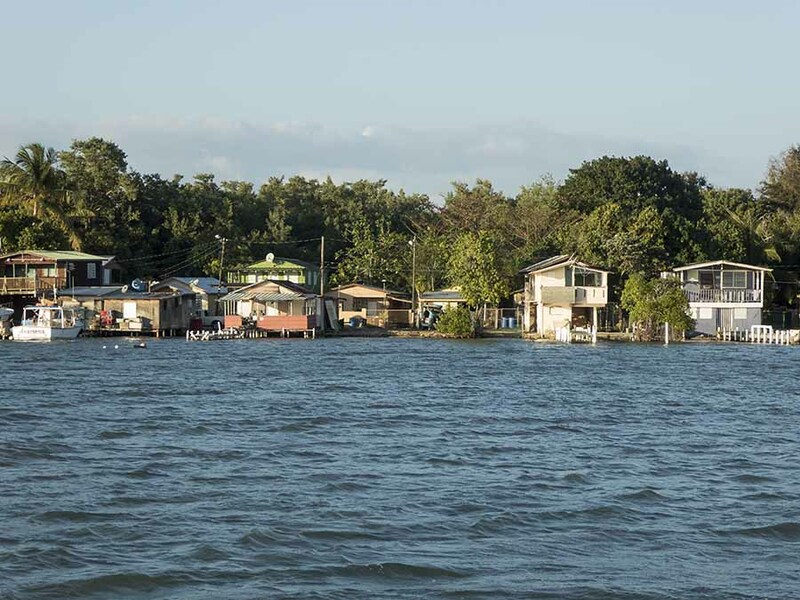 In fact the trade wind reestablished itself so we beat all the way to our destination, the small fishing village of Puerto Real on the west coast of Puerto Rico. It took us another day to get there and we arrived in the late afternoon. We were a little concerned that our manoeuvrability was impaired but inside the sheltered bay we found plenty of room and a good anchoring spot not far from the village. Although by now we had got our sealegs, it was great to relax and have a good night's rest after calling the Border Protection office (for Puerto Rico is a Commoinwealth of the USA), tidying up the boat and blowing up the dinghy. Puerto Real has a small marina, recommended by fellow cruisers, so we went ashore and were soon practising our excruciating Spanish on the staff. Thankfully the owner, Jose, speaks excellent English and was able to give us advice on local facilities. Another Jose, who spent most of his life in the States, drove us to the Customs office in the nearby commercial port, Mayaguez. The combined process of Customs and Immigration took just half an hour so we were soon back in Puerto Real having a late breakfast at the local bakery and visiting the small shop. This area of PR, about as far from the capital as you can get, is very laid back and the local people very willing to communicate in a mix of Spanish and English. Although not a large marina it has a very nice bar/restaurant so in the evenings we've been going ashore to meet other cruisers and exchange tales with some of them, mostly Americans who know this area well. Today we got out the hookah and dived under the boat to inspect the propeller. Once we removed a mass of barnacles the Maxprop appeared to be functioning normally, so we put the problem down to said barnacles preventing the blades from pitching properly - we'll have a sea trial to make sure. We're also having to spend another couple of days on board patching the dinghy again but early next week we plan to hire a car and go exploring inland.